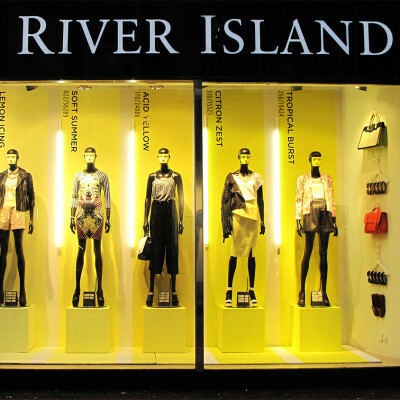 River Island Spring / Summer window display gives you a summer beach feeling with the colors blue and yellow. 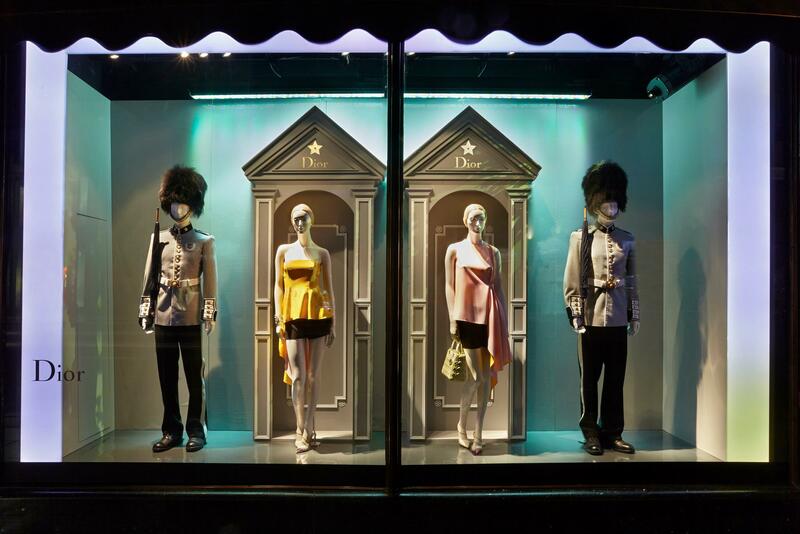 Harrods taking over by the Dior exhibition. 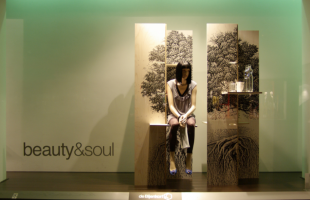 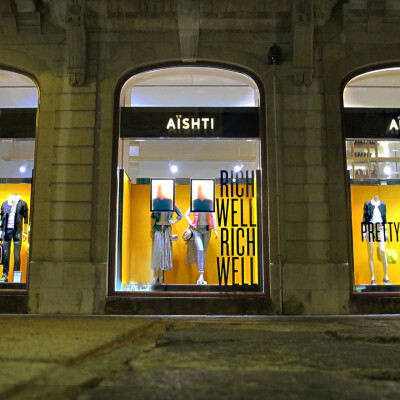 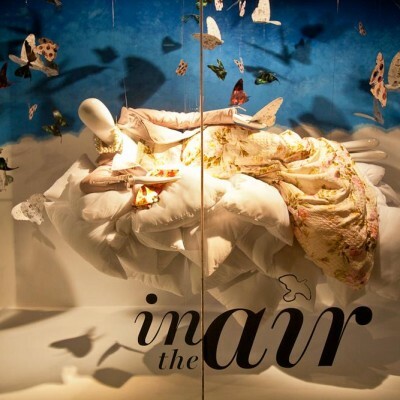 ARTE VETRINA PROJECT created the AISHTI Spring window display. 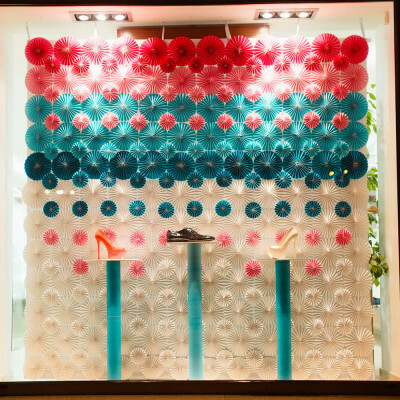 Ukrainian ARTLEVEL design studio created the Spring Window Display for the SHABELSKI Luxury Footwear Boutique, getting passers-by in the mood for Spring. 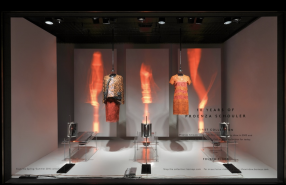 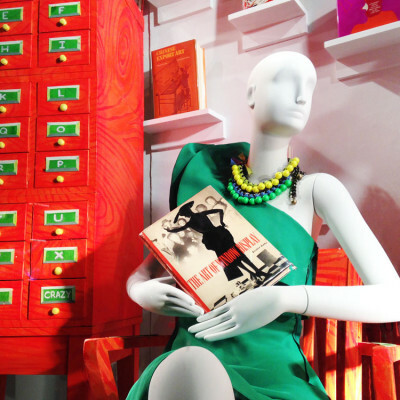 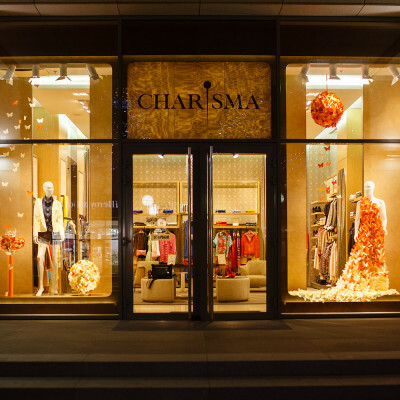 Bergdorf Goodman celebrates their favorite tomes with a special exhibition of vintage books, creating colorful windows where the mannequins are dressed in the Spring 2014 looks. 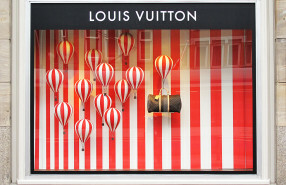 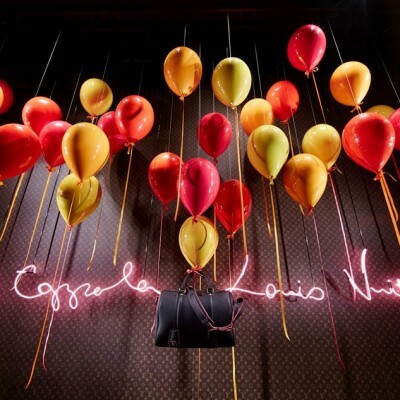 Louis Vuitton ‘Hot Air Balloons’ window display is related to the short fashion film ‘L’invitation au Voyage’. 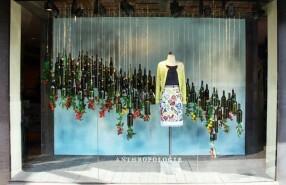 Anthropologie used recycled cans, tires, glass bottles, plastic bottles to support the environment for Earth Day.